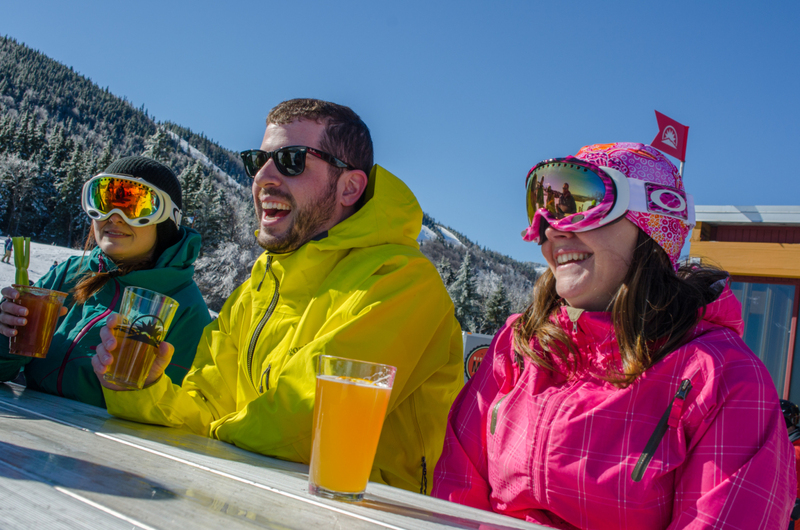 Located at the Jordan Hotel, this slopeside spot serves up upscale pub favorites, views of the mountain, and some awesome Dark n’ Stormys. 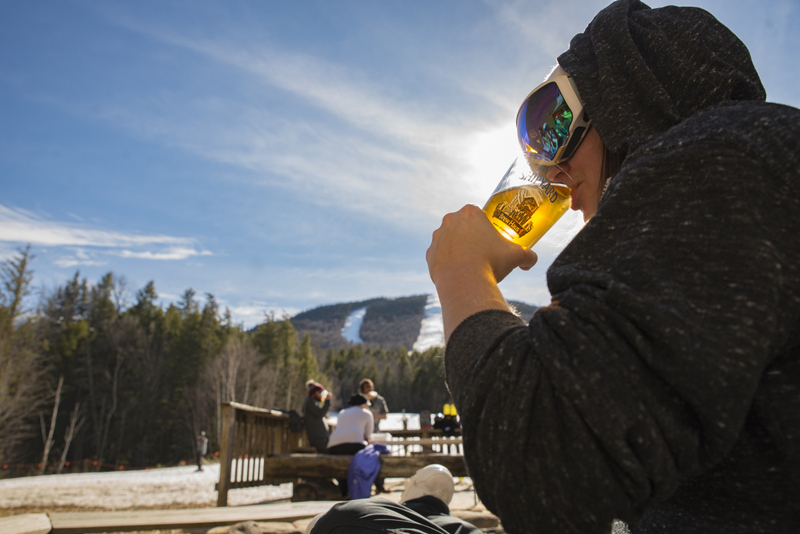 It’s the perfect place to stop while taking laps on Jordan Bowl to sit in the sunshine and enjoy some afternoon snacks. 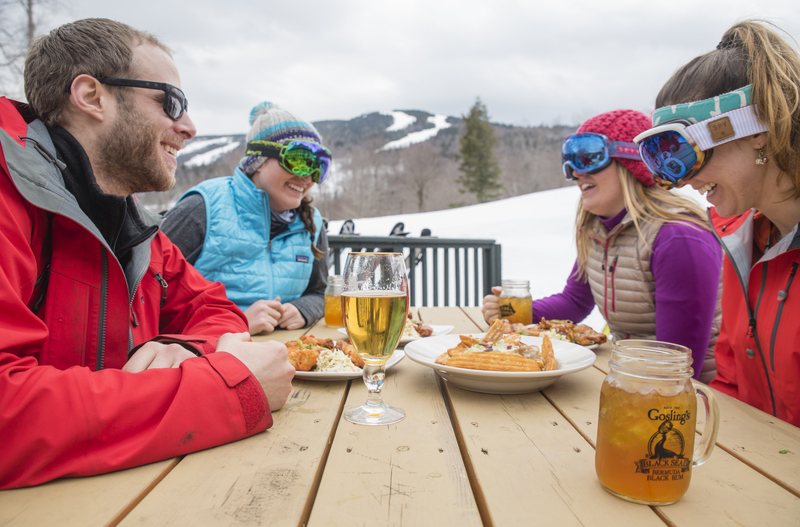 The Maine Poutine, Fried Cheese Curds, and Korean BBQ Cauliflower are some of our après favorites. 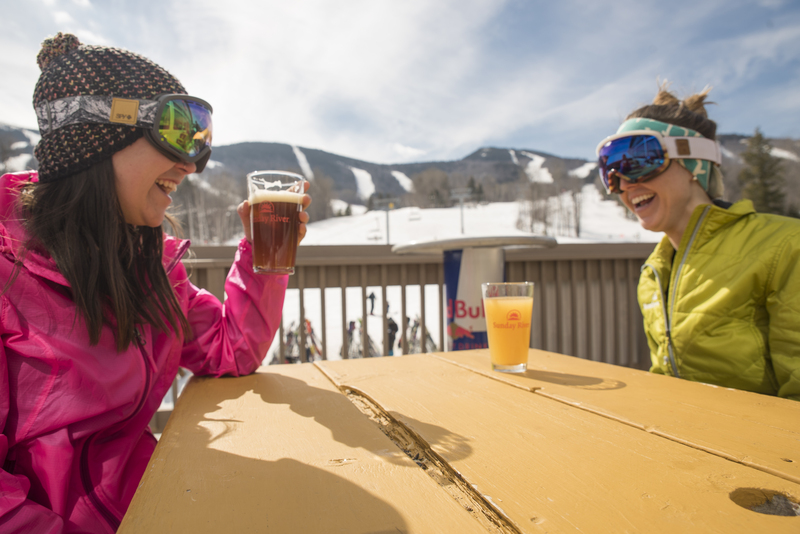 If you’re looking for a more relaxed apres-ski scene, Barker Bar is the place for you. Favored by locals, you’ll enjoy views of Locke and Barker Mountain as you mingle with the community and basque in the sun. This bar offers a Mug Club, so give it a try and see if this is the deck has your heart, so you can start saving and getting all the perks. 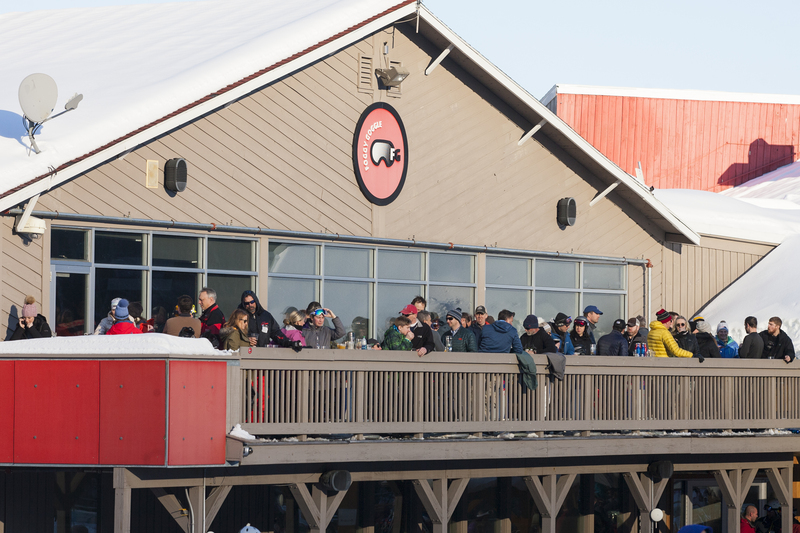 A well-kept secret, the fire pit area right outside the Shipyard Brew Haus gets all-day sun and is a great spot for adults and kids alike to hang out by the slopes. Despite the fact that it’s not quite a “deck,” I’m including it here because it’s the home of the world-famous Spring Festival and it fits all of my other deck criteria: great food, great drinks (it’s a Brew Haus. ‘Nuff said.) and tons o’ sun. 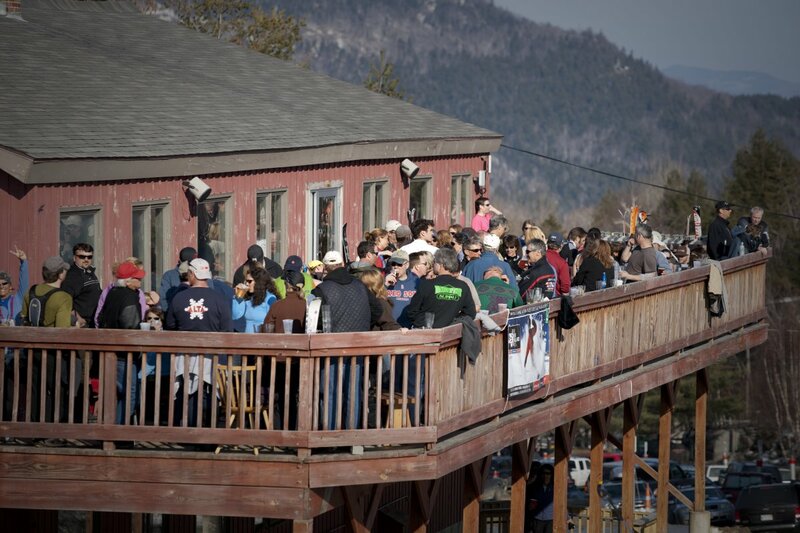 This mid-mountain gem gives you gorgeous views of the Mahoosuc Mountain Range, delicious food, and great brews. Thursday-Sunday head to The Mountain Room, where you can find Portland, Maine restaurateur and chef Harding Lee Smith, and enjoy specialty cocktails, craft brews, and unique small plates.